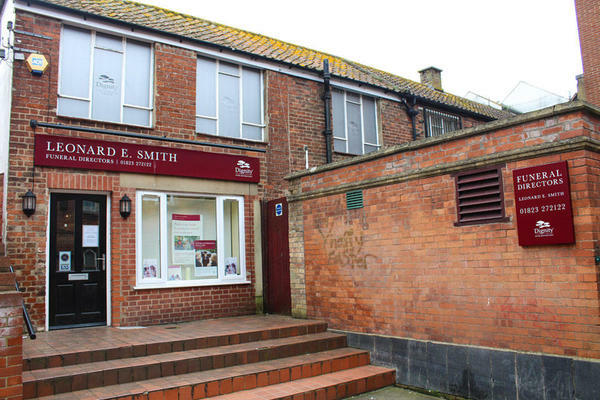 Here at Leonard E Smith Funeral Directors in Taunton, we aim to ease the burden at what is an emotional time by helping you to arrange a fitting funeral for your loved one. We will give our full support throughout, ensuring that your wishes for the ceremony are met. The passing of a loved one can place strain on you and your family, which is why you can be certain of a sympathetic and caring reception when you speak to us. We understand the difficulty you may be facing and will treat you with kindness and integrity, providing advice and guidance so you do not feel you are making important decisions alone. The location of our funeral home on Magdalene Lane, Taunton, places us in easy reach of localities such as North Town, Comeytrowe and Rowbarton. We are also accessible to communities further afield, such as Ruishton and Norton Fitzwarren. Our funeral directors can cater for religious and non-religious preferences, providing traditional funerals or more contemporary ceremonies, such as woodland burials. Whichever option you choose, we will ensure it is a suitable and heartfelt tribute to your loved one’s memory. Available 24 hours a day, at Leonard E Smith Funeral Directors we are ready to talk when you are. Call us today on 01823 272122 to talk through your personal requirements. At Leonard E Smith Funeral Directors, we understand how special life is with those that you love. For us, every funeral is unique and personal. We have a service to fulfil every wish, with every detail carried out with the same uncompromising quality of care. From a traditional service, to a colourful woodland burial, your options are limitless with our Full Service Funeral. If you have a little more flexibility when it comes to arrangements, then we can provide a Simple Funeral for a lower cost. We are located along the Magdalene Lane alleyway which links to East Street and goes down Magdalene Street. Our staff are available 24 hours a day on 01823 272122 if you require our services outside of these hours.